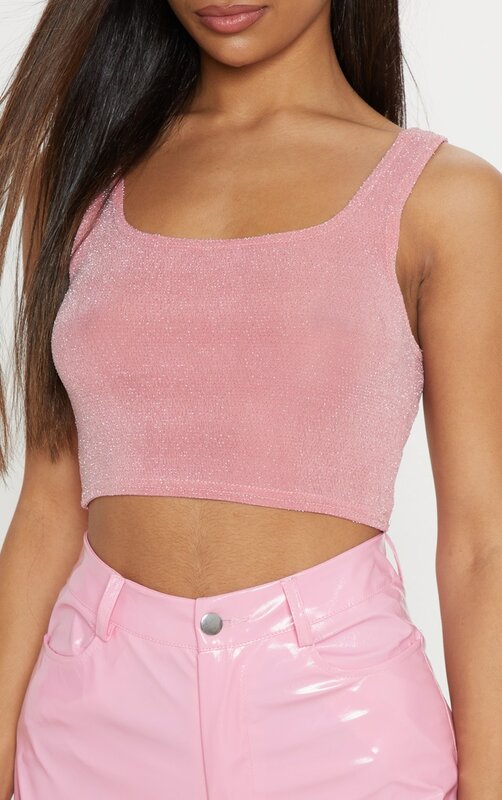 Look pretty in pink in this glitzy crop top. 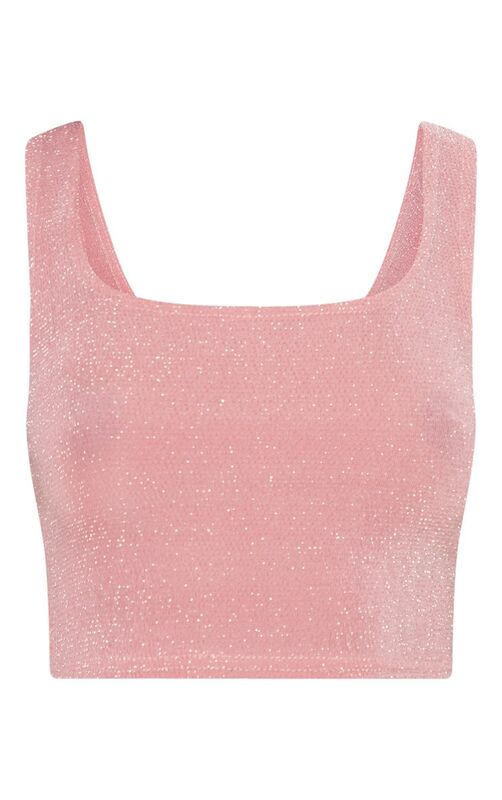 Featuring a light pink glitter material with a scoop neckline and a cropped length. Team this with vinyl trousers and neon mules for a night out with your besties.